tickets are $20 on stub hub, wish I was still up north for a cheap night out. The Grammy-winning British rocker returned to Grand Rapids Saturday for a show at 20 Monroe Live that was heavy on songs from the first and latter part of his career. 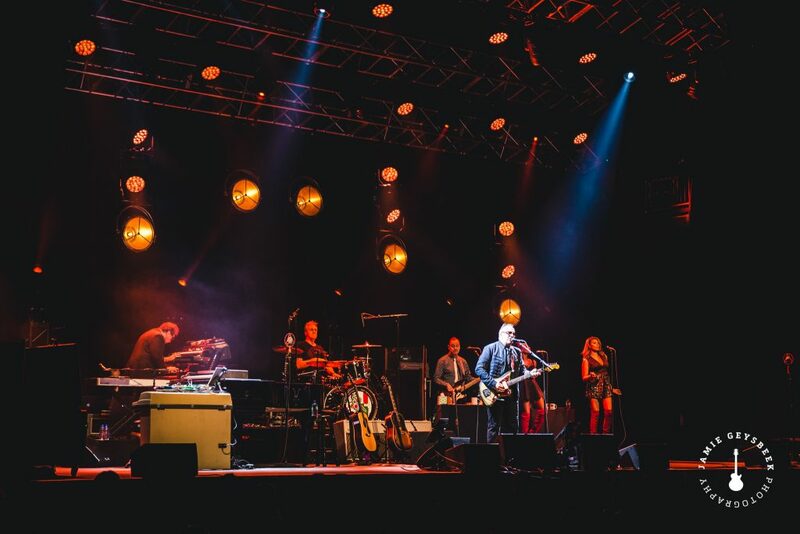 Appearing in Grand Rapids for the second time in as many years, Rock and Roll Hall of Famer Elvis Costello strolled onto the 20 Monroe Live stage Saturday night and said but four words before diving into a two-hour-long, hit-filled set. “Uno, dos, tres, cuatro,” Costello commanded, as he and his longtime band “The Imposters” launched into “This Year’s Girl,” a classic cut that’s opened his shows routinely on his “Look Now And Then” North American Tour this fall. Adorned in a suit and sunglasses, and appearing fresh and cool as ever, the 64-year-old British New Wave, post-punk, pub rocker played to an attentive, near-capacity crowd, most of which remained in their seats until about a third of the way through the set when Costello dug back for 1982’s “Beyond Belief” — the lone song played from “Imperial Bedroom” on the night. 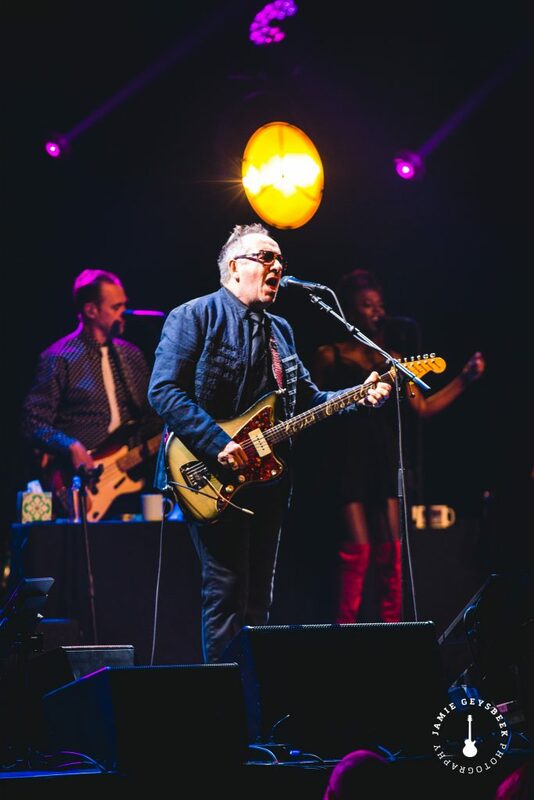 Costello, who treated his Grand Rapids fan base to nearly every track from that 1982 LP at Frederik Meijer Gardens & Sculpture Park in 2017, kept things mostly old or extremely new on the night, as he played only one song recorded between 1989 and 2018 all evening. Aside from addressing those hanging out by the bar before a couple mid-set drinking songs — Webb Pierce and Willie Nelson’s “There Stands the Glass,” and Merle Haggard’s “Tonight the Bottle Let Me Down” — Costello only addressed the crowd when introducing the band or talking about his newer songs off of the recently released “Look Now,” his 30th studio LP. The sultry “Green Shirt,” funky “Mystery Dance,” and catchy “Watching the Detectives” all had their place on the set list, and the keys of Stevie Nieve and backing vocals of Kitten Kuroi and Briana Lee stood out time and time again. Vocally, Costello may not be what he once was, but his charisma and musicianship are still strong as ever, and his aforementioned supporting cast that also consists of his original drummer Pete Thomas and longtime bassist Davey Faragher were on point all night.